​Hate Sonic's New Redesign? It Could've Looked Even More Different. Ever since Sonic the Hedgehog's new look debuted back in February, longtime video game lovers have been weighing in on the character's tweaked visuals. Well, if you feel like the Sonic Boom versions of Sega's mascot went too far, then you should know they could've gone a lot farther. Early concept art from artists who worked on Sonic Boom could've re-imagined Eggman as a skinny, shaggy-haired scientist with a peachfuzz beard and had Sonic in a t-shirt and shorts. 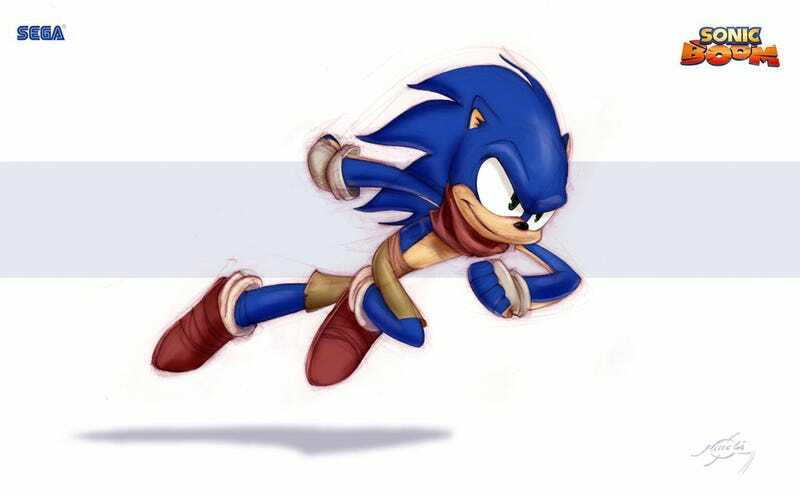 Public Facebook posts from Nicolas Villareal and another artist show some of the different iterations that went through Sega's gatekeepers as the process of making Sonic Boom got underway. There's no way of knowing if these particular redesigns are the ones that caused "discomfort" to the members of the original Sonic Team but I, for one, kind of like the Kricfalusi-esque take on Sonic. (The one without the clothes.) It sort of begs for a totally different game experience, something wackier than previous games in the character's long history.